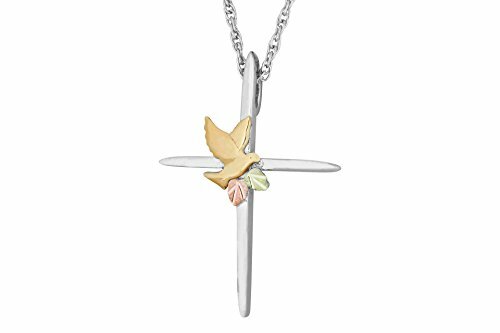 .925 Sterling Silver Cross with a 10k gold dove. Petite Hand-Engraved, Hand-Placed, Satin Finished 14k Green and Rose Gold Grape Leaves. Complimentary 18 inch sterling silver rope chain.